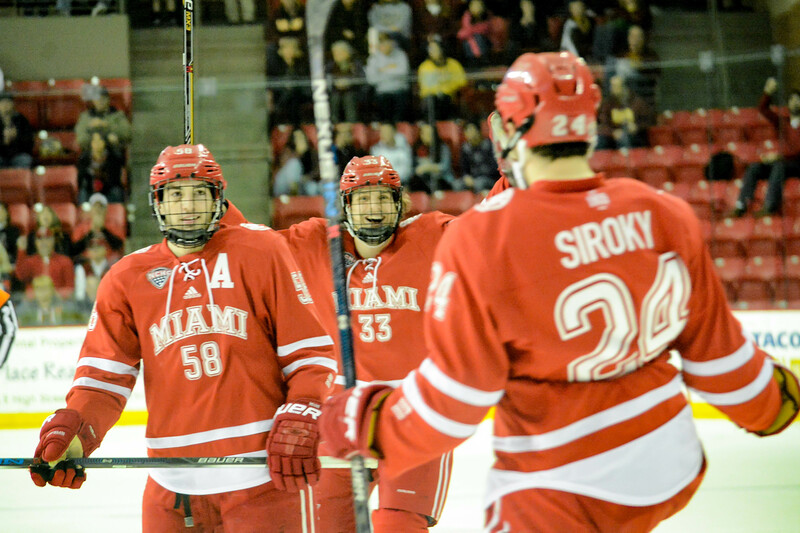 It’s official: Miami will open the NCHC Tournament on the road for the fourth straight season. 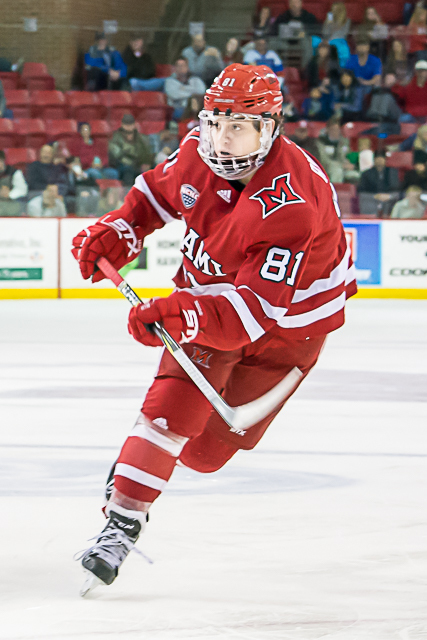 Denver beat the RedHawks, 5-2 at Magness Arena on Saturday, which dropped MU 13 points behind the fourth-place Pioneers with four games remaining. The top four seeds host best-of-3 series in the first round of the conference tournament. 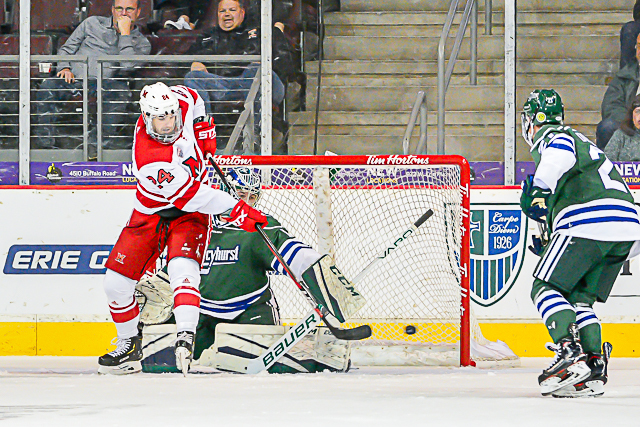 RECAP: Denver’s Jarid Lukosevicius buried a one-timer from just inside the faceoff circle, set up by an Emilio Pettersen feed from the wall at the 3:31 mark of the first period. 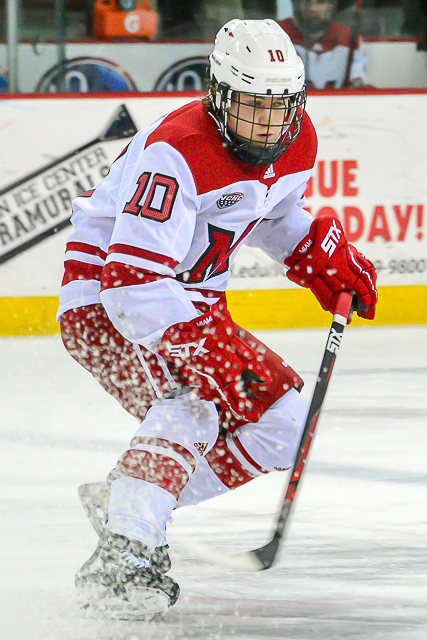 The score remained 1-0 for over a period and a half until Miami’s Josh Melnick tied it shorthanded, whipping a shot just under the crossbar on a 2-on-1 after he and Brian Hawkinson played give-and-go with 5:17 left in the second period. 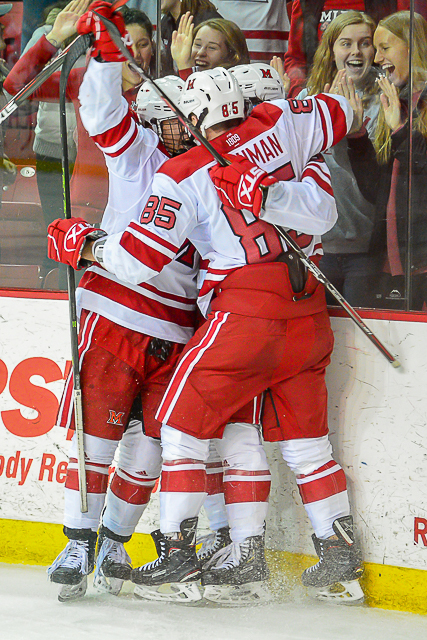 But the Pioneers would break it open in a 17-second span of the third period on a pair of goals Jack Doremus. He redirected a wrist shot by Griffin Mendel into the net at 5:17 and fired a slapper that beat Miami goalie Ryan Larkin moments later. 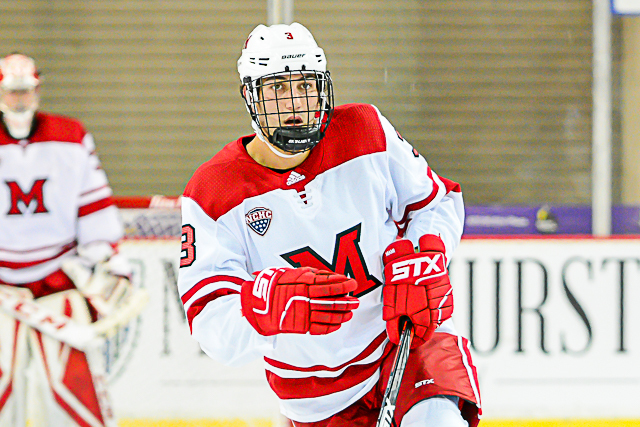 The RedHawks cut the deficit to one, 3-2 when Zach LaValle lunged into the crease to poke home a rebound after Filip Larsson couldn’t control a wrist shot by Monte Graham with 11:47 left in regulation. Denver regained its two-goal lead on the power play, with Lukosevicius shoveling home a centering feed in the slot with 7:46 remaining. Colin Staub sealed it with an empty netter, as he chased down a clearing pass and tapped it in. 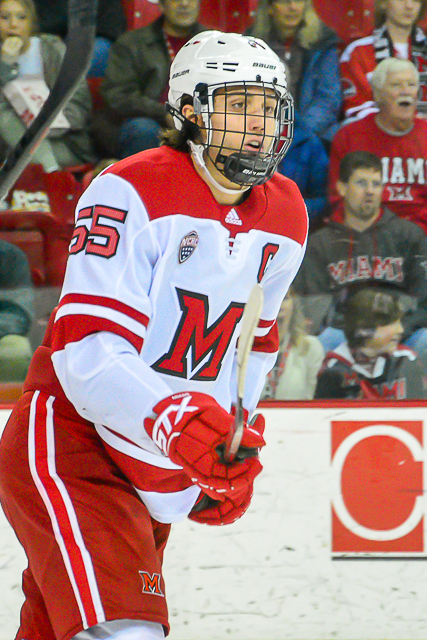 STATS: The four goals allowed in the third period is the most surrendered in a frame this season for Miami. 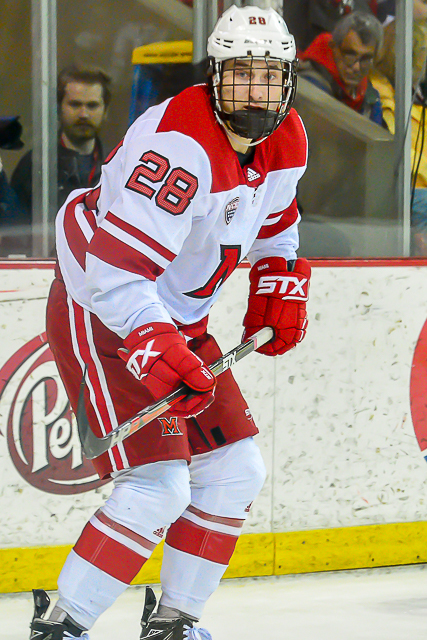 — Melnick extended his points streak to three games, as he has two goals and two assists in that span. 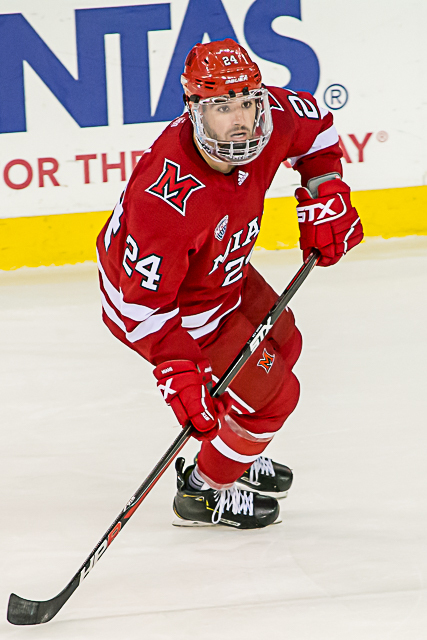 With 105 points, the senior is now 47th on the RedHawks’ all-time scoring list. — LaValle’s marker was his first since Oct. 27. — Denver led on the shot counter, 43-17. 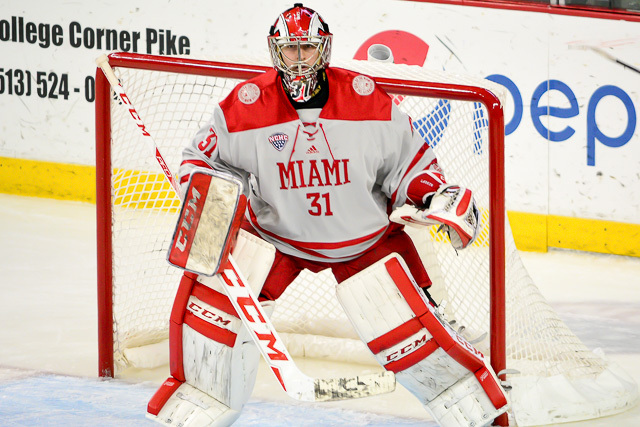 For the weekend, the Pioneers outshot Miami, 90-38. 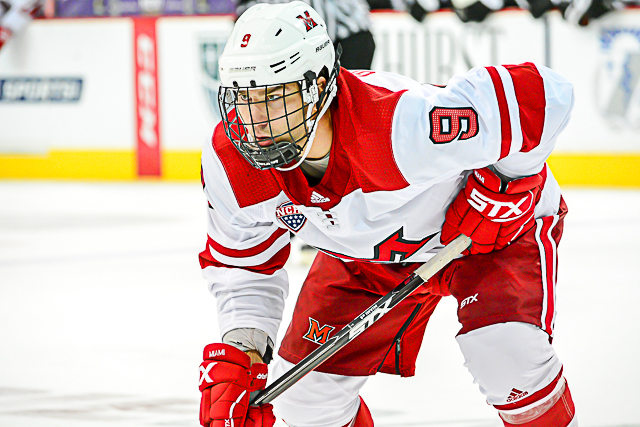 — The RedHawks did not score on the power play for the fourth straight game, and they are 13-for-20 on the penalty kill in their last six (65.0 percent). THOUGHTS: Miami played pretty evenly with Denver following the first goal and set itself up to steal some road points with the score tied at one after 40 minutes. 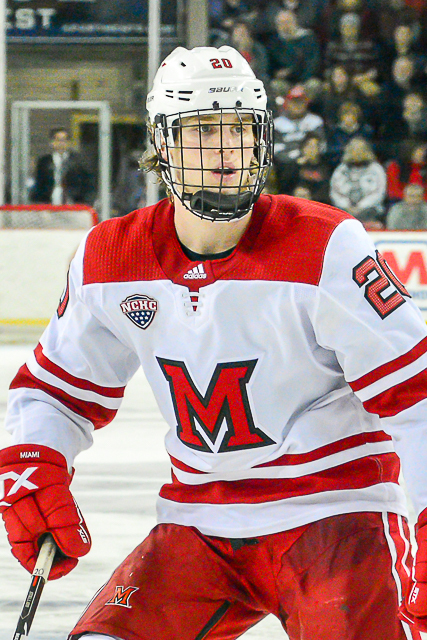 But defending the slot area was a major issue for the RedHawks, who allowed two deflection goals and a one-timer by a loosely-covered Lukosevicius, arguably the best scorer on the team. Even the empty netter was scored from that area. 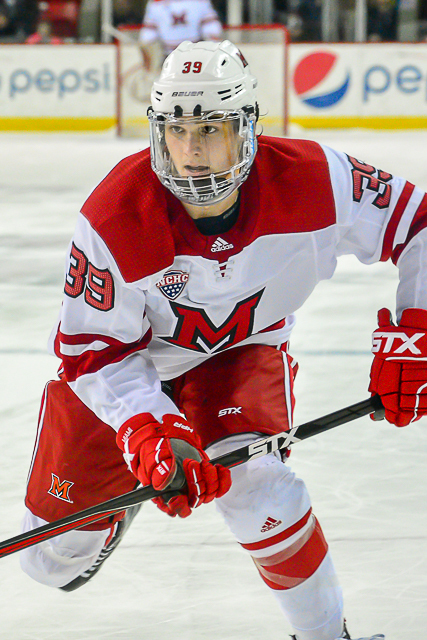 Miami battled hard in this game, tying the score at one and cutting a two-goal deficit to one, but the sixth period of the weekend at altitude ultimately spelled the RedHawks’ demise. 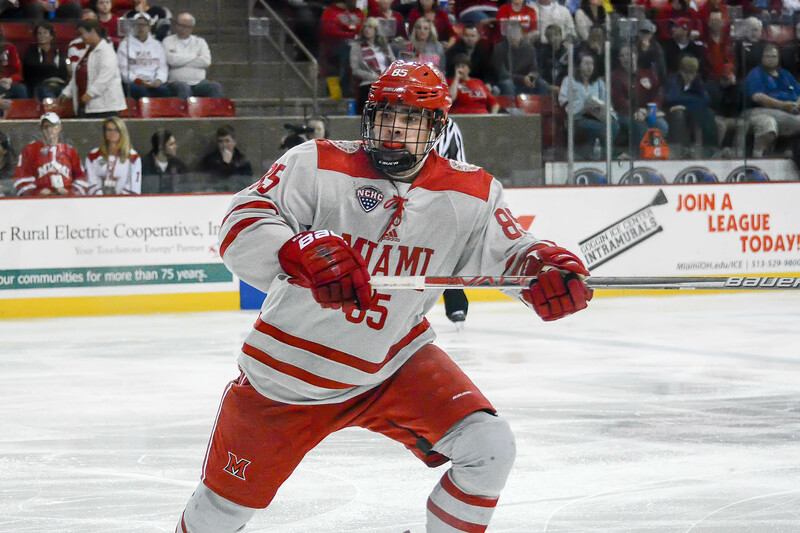 — Normally a 1-1 weekend at the seventh-ranked team in Division I would be considered a victory, and it is to a large degree, but because Miami has dug itself such a deep hole in the standings, it needed more than three points for any chance at home ice for the playoffs. With that decided, at least the RedHawks know for sure they will be packing their bags for St. Patrick’s Day weekend, the only question remaining is where they will be heading. — River Rymsha dished out a solid hit in the closing seconds and was chased down by Slava Demin as the horn sounded, but little came from it. 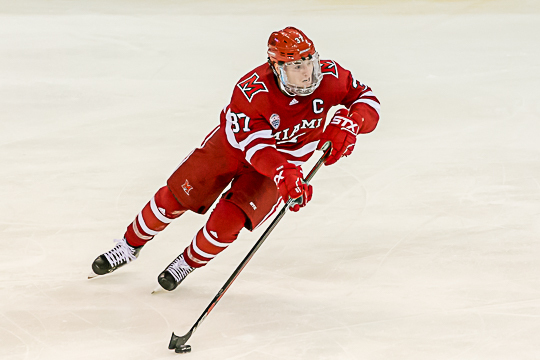 After review, Rymsha was assessed a major and game misconduct for a supposed hit to the head that even the homer Denver broadcasters didn’t see. 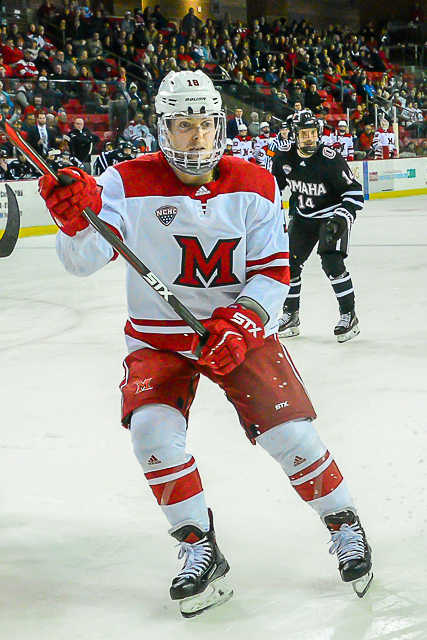 According to the broadcasters on Altitude Network, Miami coach Enrico Blasi was initially confrontational with DU coach David Carle before his handshake, though that was not shown. On replay, it appeared the skater’s head dropped down as he wound up for a hard dump-in. Going full speed, there’s no way Rymsha could’ve known that or reacted to it in time. Someone ask Rymsha how he feels about replay, since this is the second time he gotten 5-and-10 for a hit none of the four officials saw live and he’s now one misconduct away from a one-game suspension. Typically don’t like to call out college broadcasting, but DU’s on-air team on Altitude was defending Demin for running Rymsha because the hit was late in the game. So a player is supposed to get a free pass because of how much time is left? Why not just call the game when the margin reaches three goals? — While we’re on the subject, Altitude did refer to Bray Crowder, who is 6-feet-6, as the second-tallest skater on Miami. That is correct. The tallest? That would be Alec Mahalak at 6-9. That’s even more hilarious considering the box score from Denver had Andrew Sinard – the RedHawks’ actual tallest player at 6-7 – listed as on the ice for two goals against when Mahalak was actually out there. Altitude also kept referring to Miami’s recent winless streak as being 11 games, which is very polite but inaccurate. 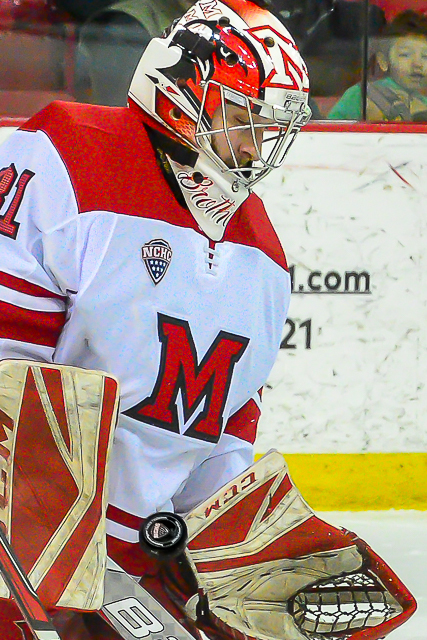 The RedHawks lost 11 games during an 0-11-4 stretch. That’s 15 games. Eleven was also in the game notes, which is likely where they got that info. See what happens when states legalize marijuana? LINEUP CHANGES: Only one from Friday: Crowder was back from his upper-body injury. He missed two games. As a result, Carter Johnson did not dress as Miami went with seven defensemen. STANDINGS: At 5-13-2 in league play, Miami is in seventh place in the NCHC, one point ahead of Omaha and three behind sixth-place Colorado College. St. 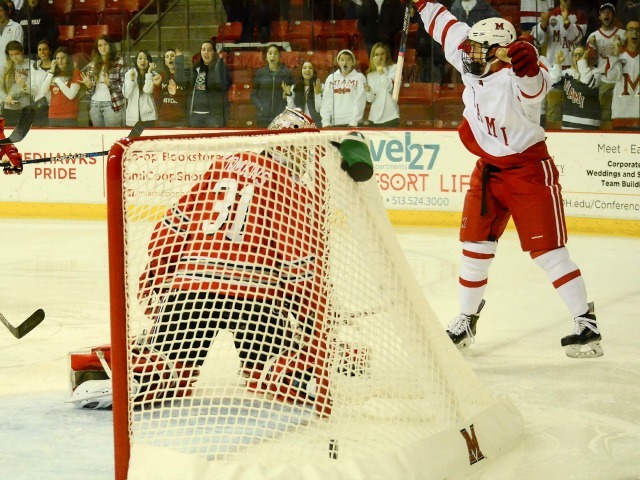 Cloud State clinched the league regular season title this weekend, so the No. 8 seed will head there. 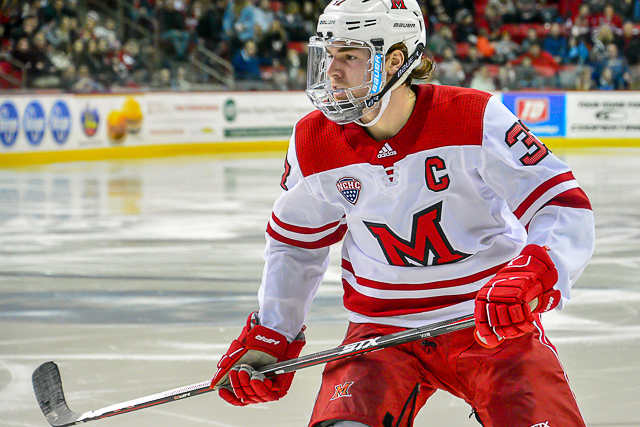 UMD and Western Michigan will likely finish in the two and three spots, so there’s a good chance the RedHawks travel to one of those two campuses for the conference tournament. MU is tied for No. 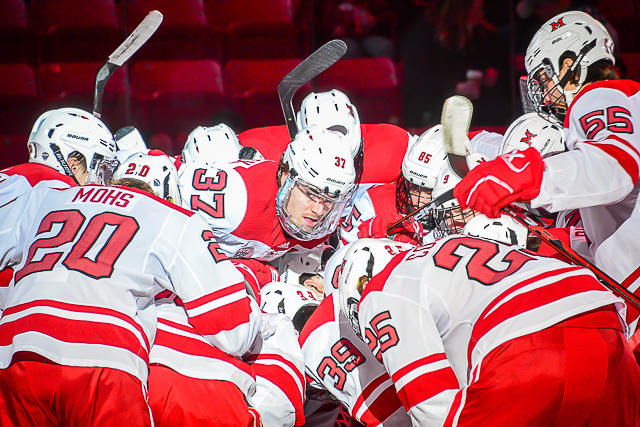 35 in the PairWise rankings. 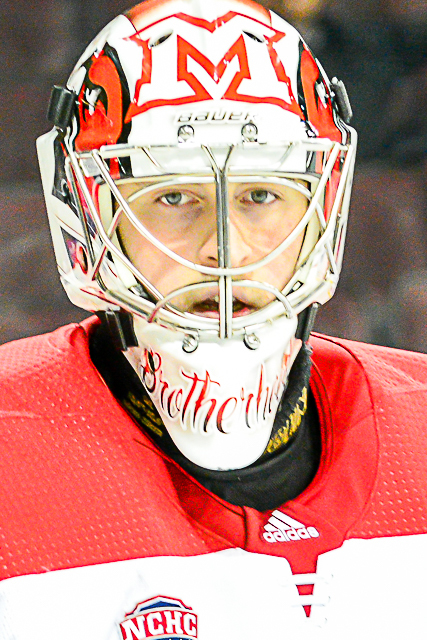 FINAL THOUGHTS: Four games remain in the regular season – two away, two at home – and at this point it’s all about getting ready for the postseason. The road win on Friday was definitely nice but Miami needs to play better for 60 minutes if it hopes to advance to St. Paul next month. 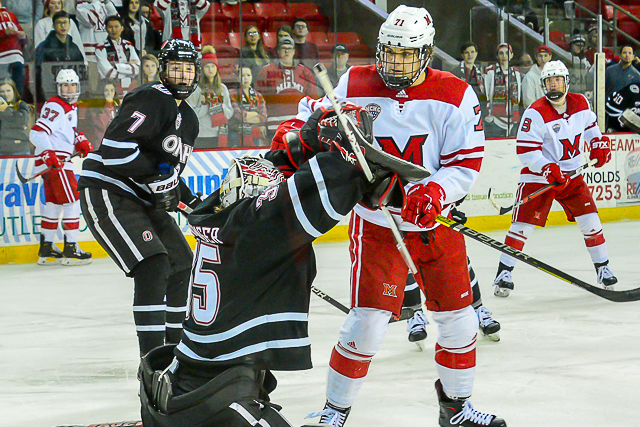 Speaking of Minnesota, the RedHawks are off to their favorite home away from home next week: UMD. But what a statement MU could make if it could pull off a win or two in its final road series of the regular season against the No. 3 team in Division I, where Miami is winless in its last 11. 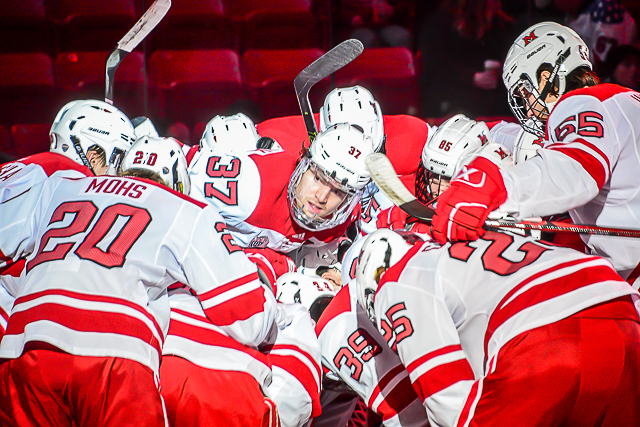 Like Miami, Nebraska-Omaha has been going through the meat grinder that is the NCHC schedule. The Mavericks are 2-6 in their last eight vs. Nos. 3, 20, 5 and 8 the past month. 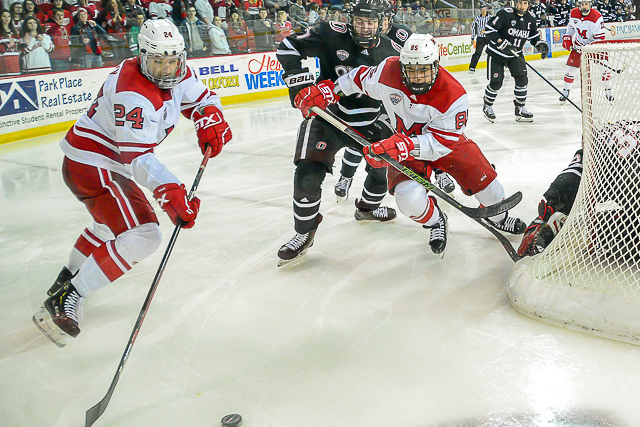 These teams split when they played at Baxter Arena in what was Miami’s first true set of road games this season. 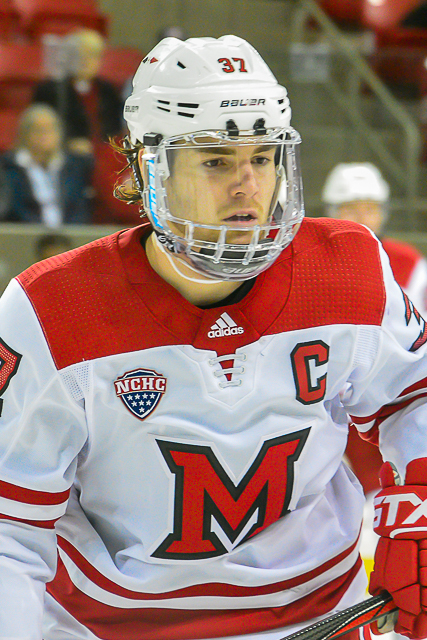 WHO: Nebraska-Omaha Mavericks (8-16-2) at Miami RedHawks (9-15-4). WHEN: Friday – 6:35 p.m.; Saturday – 7:05 p.m. ALL-TIME SERIES: Miami leads, 21-18-6. TV: Friday – CBS College Sports (DirecTV Ch. 221). OMAHA RADIO: Both nights – KZOT-AM (1180), Bellevue, Neb. 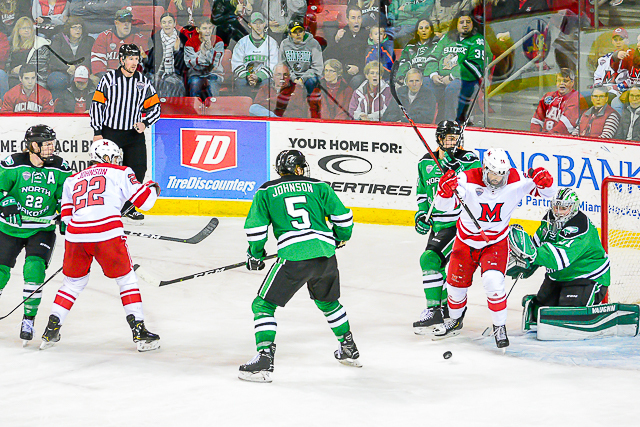 NOTES: Not much has changed for the Mavericks since Miami headed to Omaha in early November. 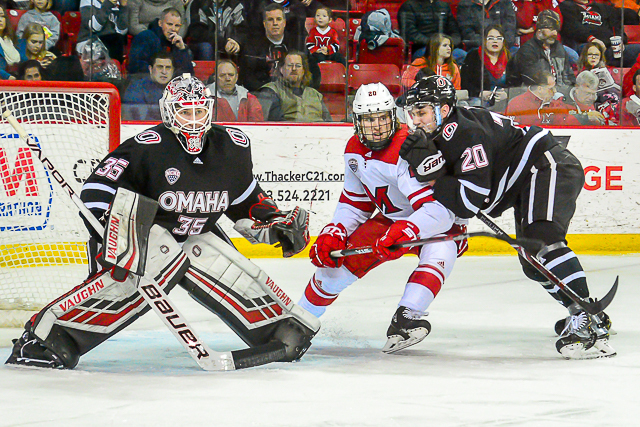 UNO has allowed 99 goals in 26 games – 3.8 per contest – and opponents average 35 shots vs. the Mavericks. 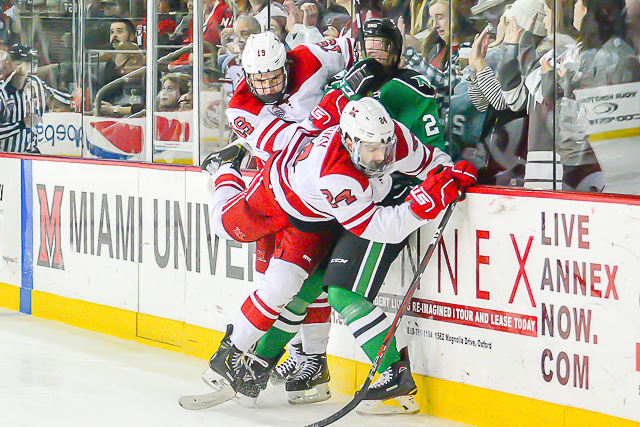 Nebraska-Omaha has not had the offensive firepower to compensate for its lack of defense. 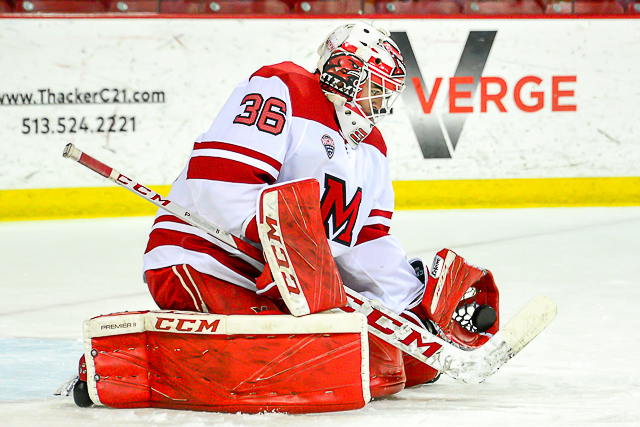 Goalie Evan Weninger has played in 25 games and has a 3.58 goals-against average and a save percentage of .900, which is modern-day hockey’s equivalent of the Mendoza line. Both backups have struggled in their brief looks between the pipes. Omaha has four major scoring threats up front, with Fredrik Olofsson and Mason Morelli holding the top two spots in the league. 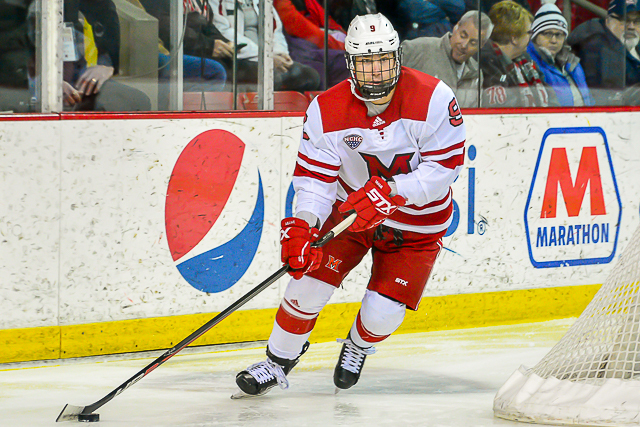 Olofsson, a senior, has 91 career points and a 10-20-30 line this season, as he also leads all UNO skaters in assists. 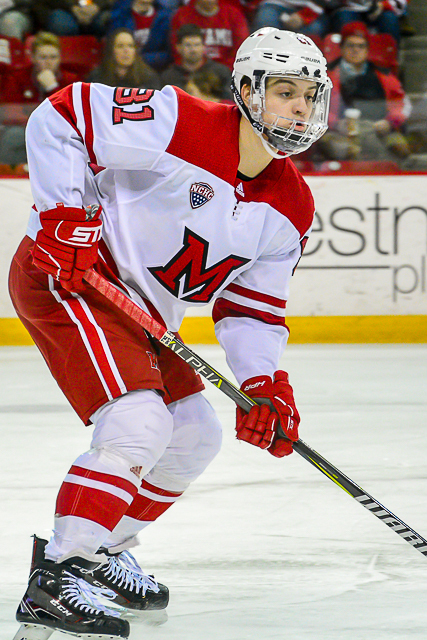 Classmate Morelli is tied for third in the NCAA with 17 goals, including seven on the power play. His 12 helpers give him 29 points for the season. 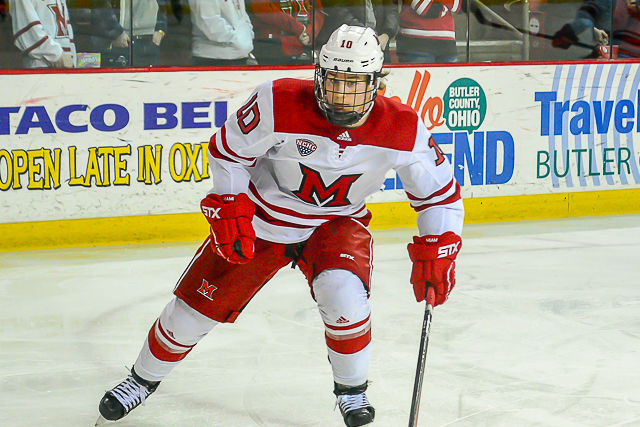 Zach Jordan has added goals on the man-advantage and is 7-16-23, and Taylor Ward is having an outstanding freshman year, scoring seven times and adding 15 assists for 22 points. But no other Maverick forward has more than 12 points. 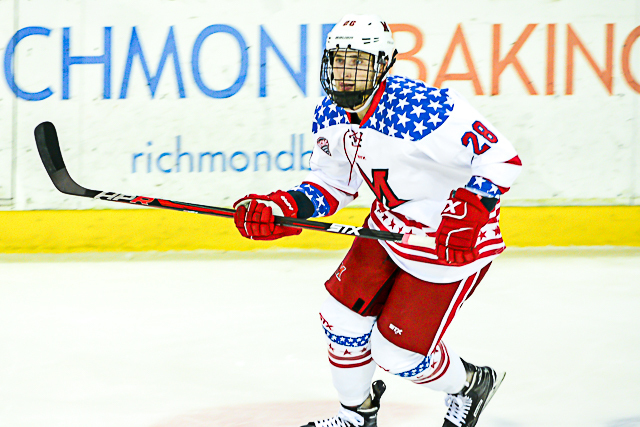 On defense, junior Dean Stewart has broken out with four goals and 15 assists after posting just 12 points his first two seasons combined, all on helpers. Ryan Jones has nine assists, but no other UNO blueliner has more than four points. The Mavericks’ lineup has been a revolving door, as just six skaters have dressed for all 26 games and 23 have played in 15 or more. 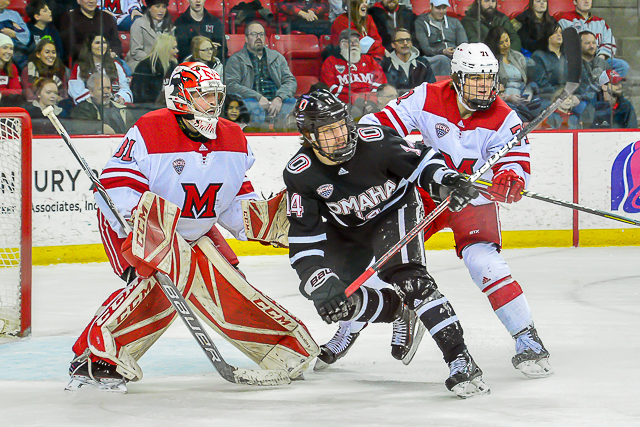 Nebraska-Omaha has been awful on the road, having lost six straight away games and going 1-10-1 overall off campus. 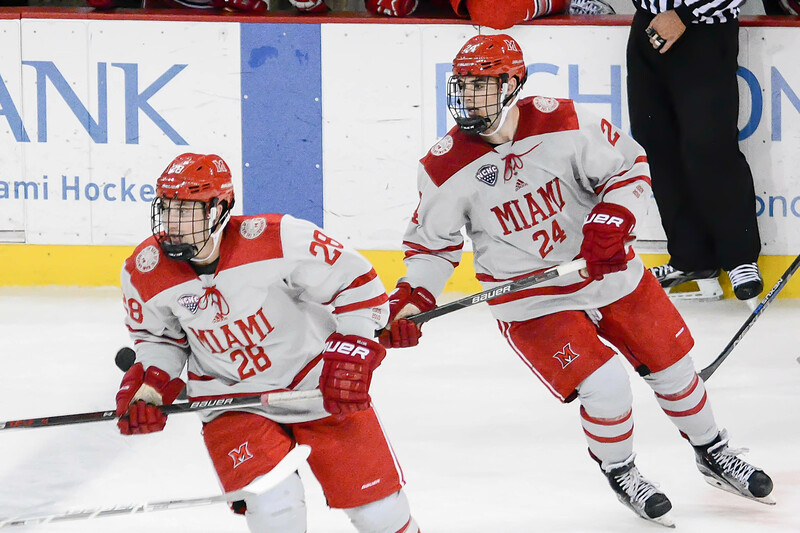 Miami is 0-10-4 in its last 14, tied for its second-longest winless streak in school history, and the RedHawks have lost eight straight. Five of their last six losses have been by at least three goals, and they’ve been outscored, 26-5 in that span. With UNO in seventh place in the NCHC, these are the most winnable games the RedHawks will play the rest of the season. Up after this are teams ranked fifth, seventh and eighth, and four of those six games will be on the road. 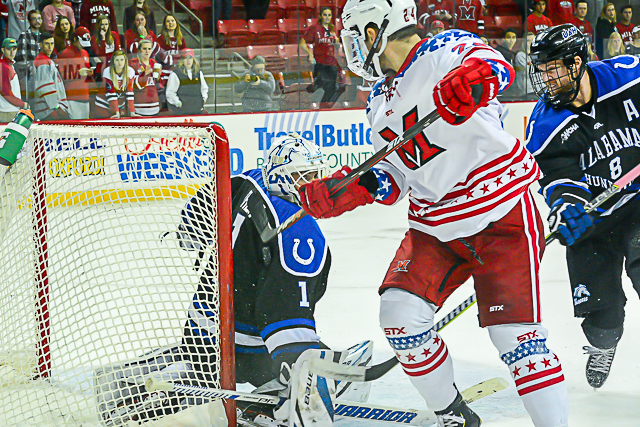 Miami is 1-6-1 in its last eight vs. the Mavericks and are winless in their last five. 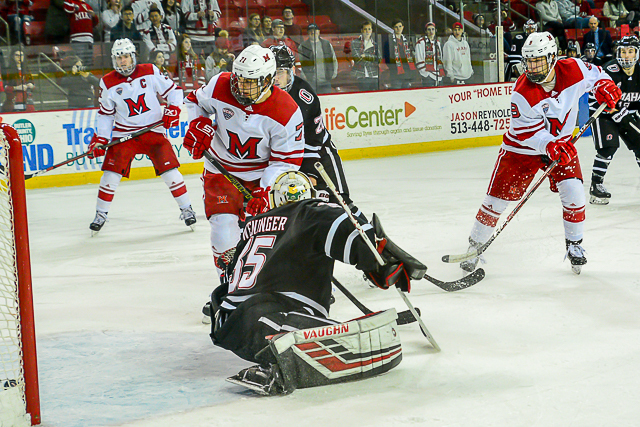 The RedHawks’ last win over UNO at Cady Arena was on Dec. 5, 2014. It truly was Groundhog Day for Miami. 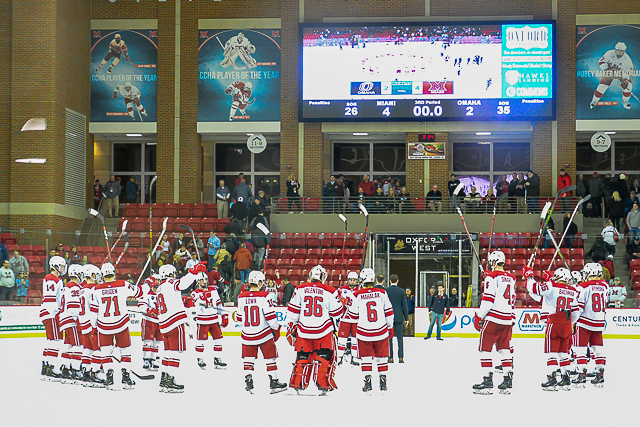 On Feb. 2, a night after the RedHawks lost, 5-1 at No. 1 St. 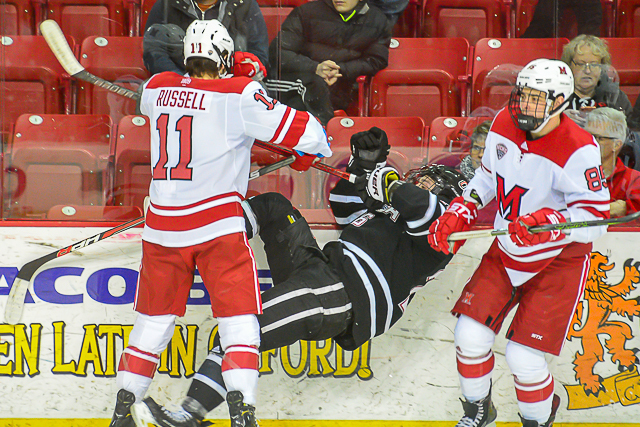 Cloud State, MU fell to the Huskies by an identical score at the Herb Brooks Center. 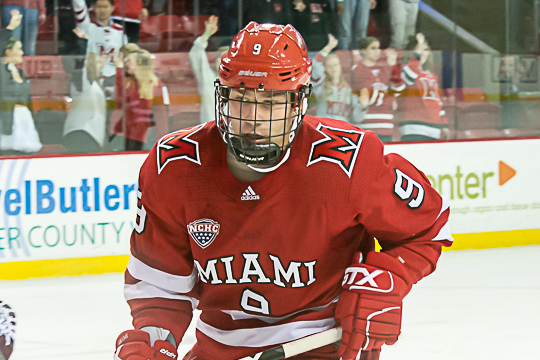 Gordie Green netted the only Miami goal, with 7:34 left in regulation and the RedHawks down by five. Blake Lizotte scored twice and added an assist to pace St. Cloud State. MU dropped its eighth straight game and is winless in its last 14 (0-10-4). Its losing streak is its longest since 1995. Miami’s winless streak equals its second-longest in team history. 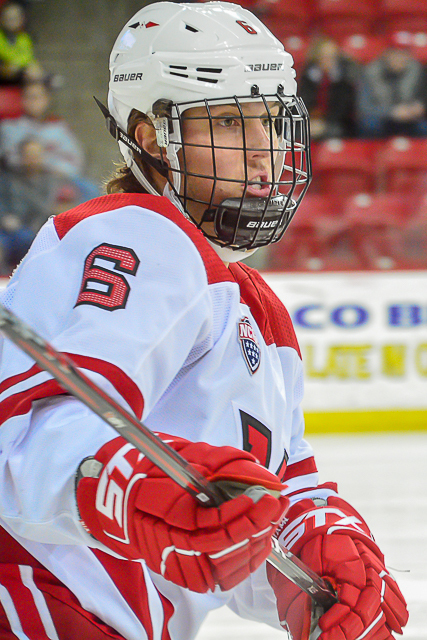 RECAP: For the second straight night, the Huskies wasted no time taking the lead. 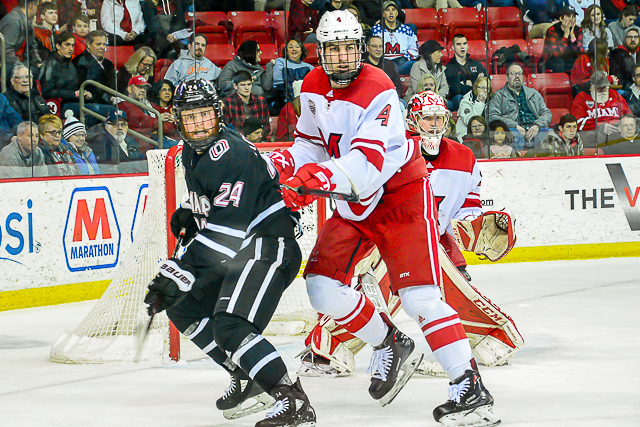 At the 2:25 mark, Ryan Poehling dished a pass to a streaking Lizotte, who redirected the pass into the net from the top of the crease. 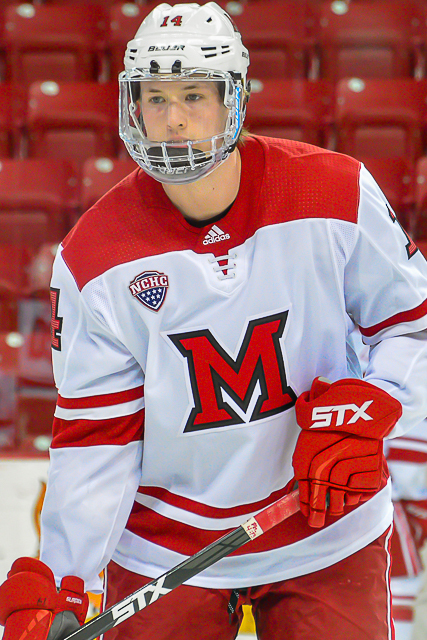 Jack Ahcan made it 2-0 less than four minutes later, wristing a shot past Miami goalie Ryan Larkin on the stick side off a centering feed from Patrick Newell. Lizotte scored again with eight minutes left in the middle stanza, as he was left alone at the side of the net and tapped in a feed from Robbie Jackson. 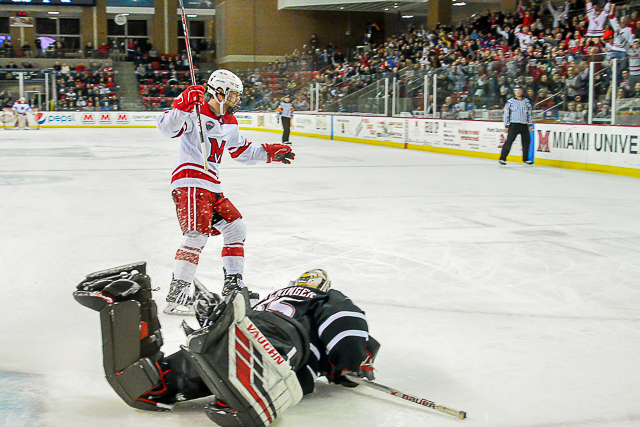 That duo reversed roles less than five minutes later, as Lizotte kicked a pass out to Jackson, who was alone for a bad-angle one-timer even with the goal line, giving St. 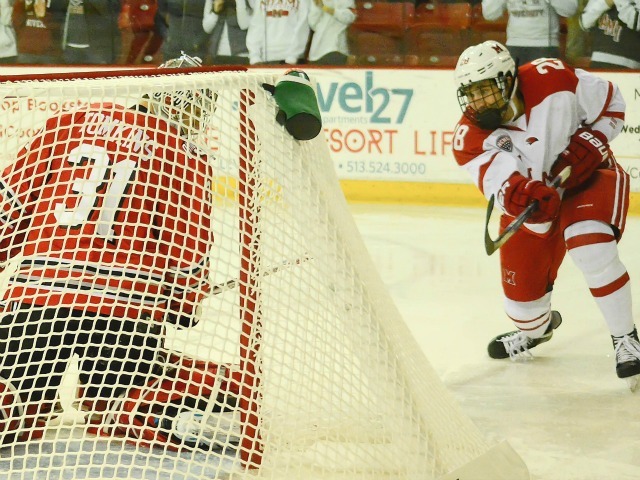 Cloud State a four-goal lead. 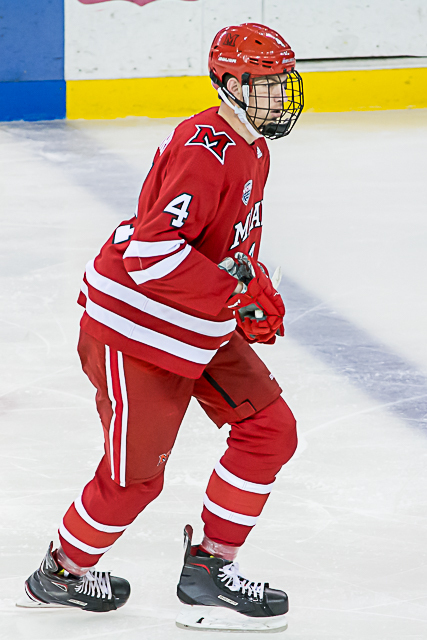 Nick Pervix extended the Huskies’ lead to five in the final minute of the second period, as he skated from behind the net and stuffed one past Larkin. 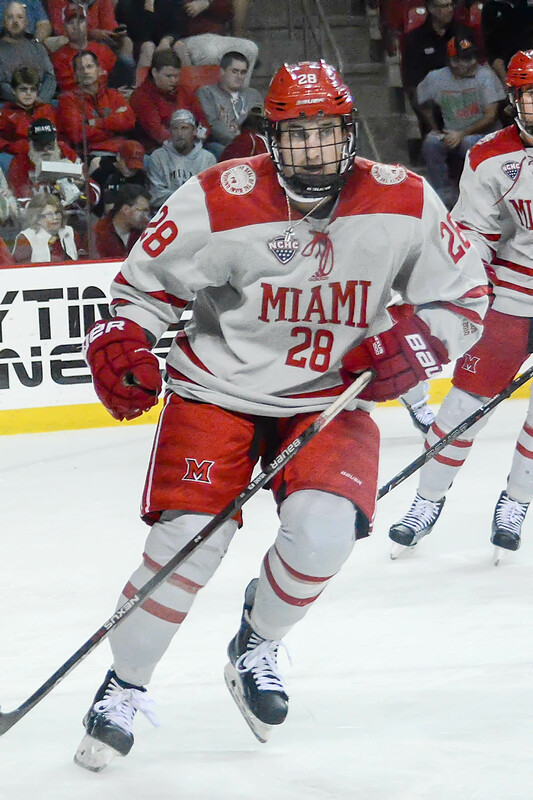 Miami scored its lone goal when Grant Hutton fired a shot that hit the stick of teammate Jonathan Gruden and ended up on the stick of Green, who roofed it from the slot. 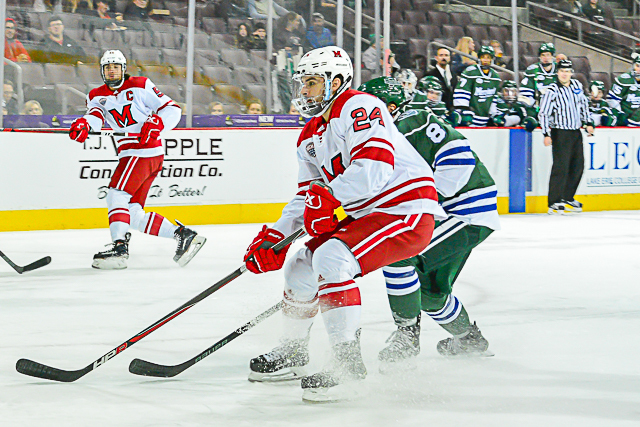 STATS: Green’s goal was his 10th of the season, extending his team lead, and he is tied with Josh Melnick atop the RedHawks’ point leaderboard with 20. 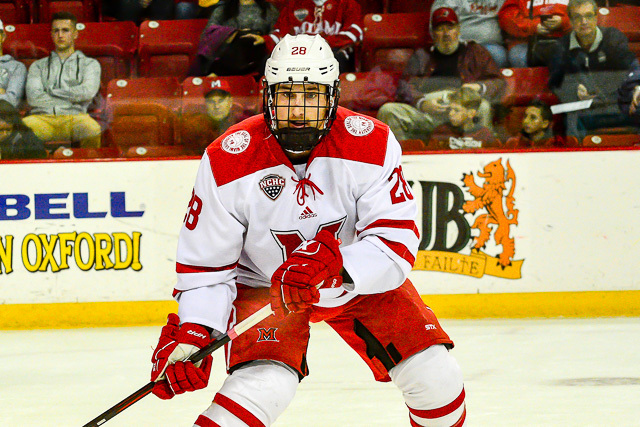 He picked up a point for the second straight game, as did Grant Hutton, who earned the secondary assist. — Gruden picked up the primary helper, his second point in three contests. — Miami is 1-23-6 when pursuing its 10th win the past three seasons. — The RedHawks were 0-13-1 in early 1985, and their worst-ever winless stretch was a 17-game, 0-16-1 skid in 1990-91. — MU has given up the first goal in 12 straight games. — St. 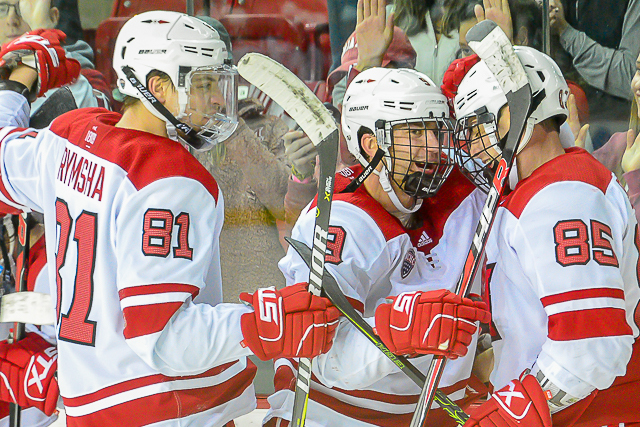 Cloud State improved to 12-0 on its home ice. THOUGHTS: It was Groundhog Day in terms of the score, but unlike Friday, St. Cloud State dominated the first 40 minutes. Dominated probably isn’t a strong enough word. It looked like the Tampa Bay Lightning playing a Midget Minor team. The shots were 31-9 after two periods. 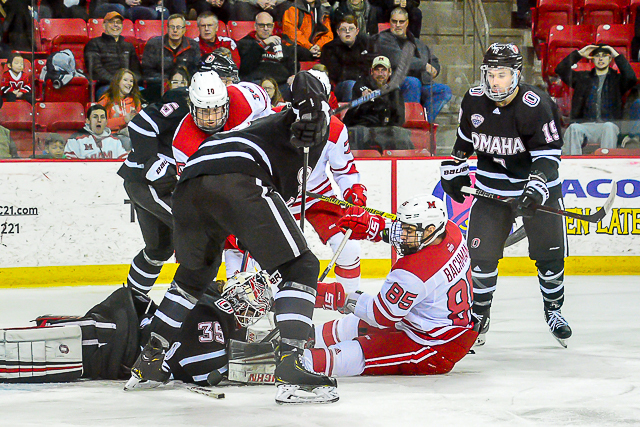 The Huskies took their foot off the gas in the third period, playing their third and fourth lines a significant amount, and they were less aggressive pushing the offensive tempo. St. Cloud State played great and deserves credit but Miami made it a lot easier on the Huskies by again failing to cover opponents close to the net and failing to get defensive sticks in the lane. SCSU also seemingly won every boards battle and was first to every loose puck. It’s really hard to remain competitive under those conditions. LINEUP CHANGES: Larkin was in net for the third time in seven games, and this was the first contest he has completed in that stretch. 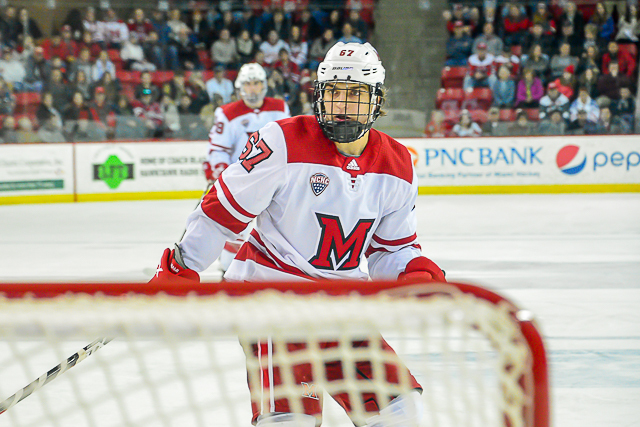 Scott Corbett returned to the lineup after sitting out Saturday, and Zach LaValle did not dress. 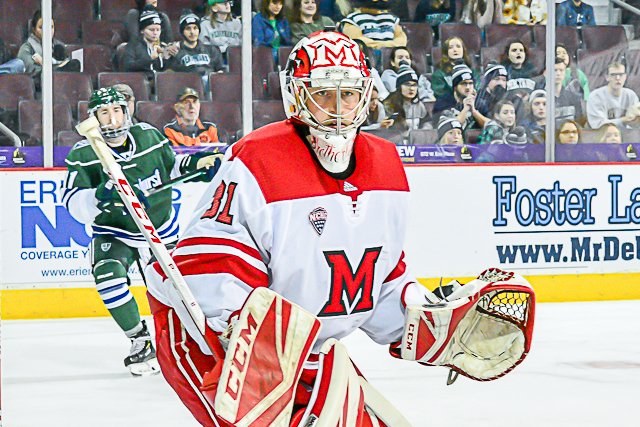 STANDINGS: Miami fell to last in the NCHC, two points behind Omaha, which split vs. Western Michigan this weekend. 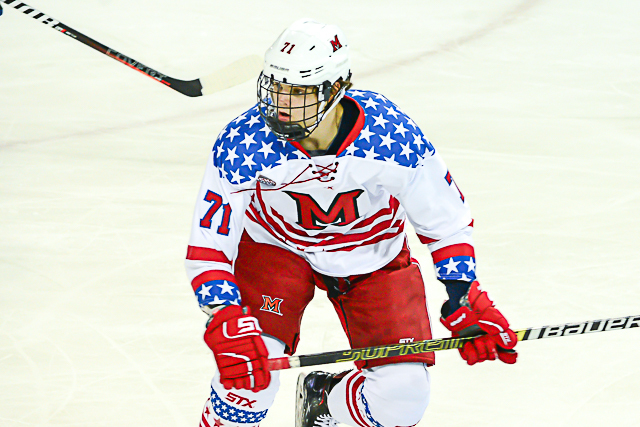 The RedHawks are 3-11-2 in the conference with 12 league points, two behind the Mavericks. 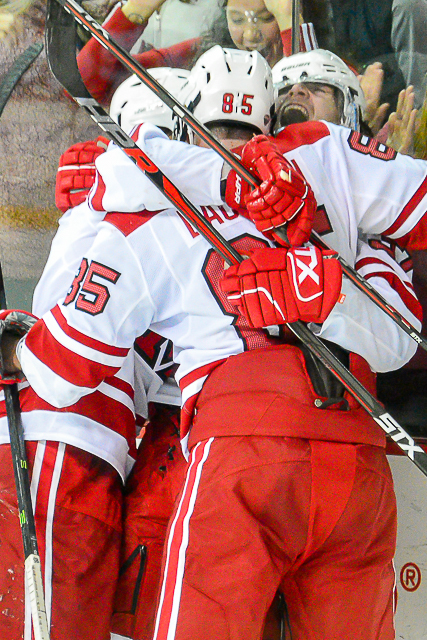 They are 13 points out of fourth, which is the last home-ice spot for the NCHC Tournament. Eight games remain in both the regular season and conference schedules. 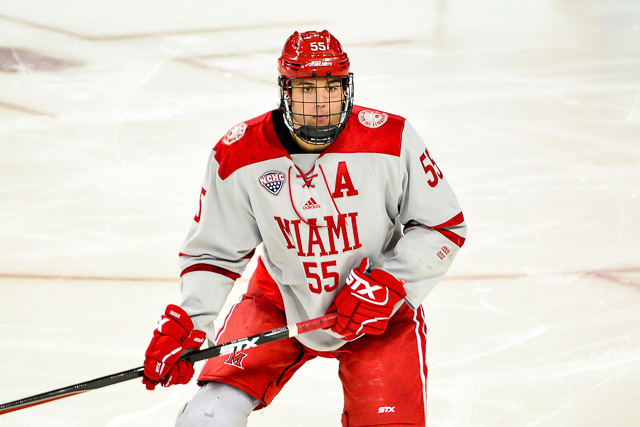 Miami is now 38th in the PairWise. 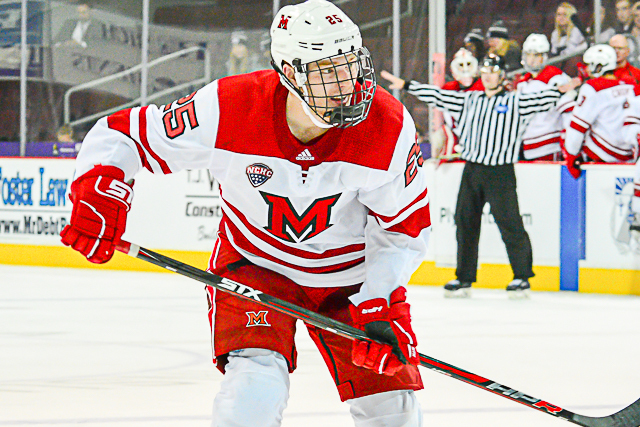 SCHEDULE: The RedHawks host Omaha next weekend, then after a week off they face Denver and Minnesota-Duluth, both top five teams and both on the road, before wrapping up their regular season slate vs. Western Michigan in Oxford. 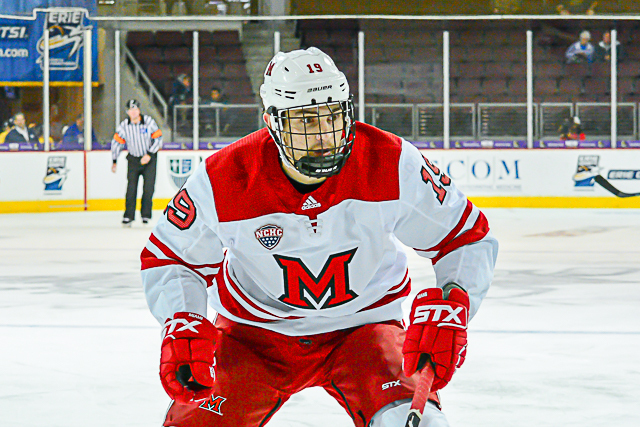 FINAL THOUGHTS: It was a tall order to earn points on this trip, but Miami didn’t come close, and with the RedHawks plummeting in the league standings, this is one of the teams they would have to beat on the road just to earn a berth in the Frozen Faceoff. Realistically, MU now has very little chance of earning home ice for the first round of the NCHC Tournament, which means an extremely difficult road series just to advance to the conference semifinals. And at No. 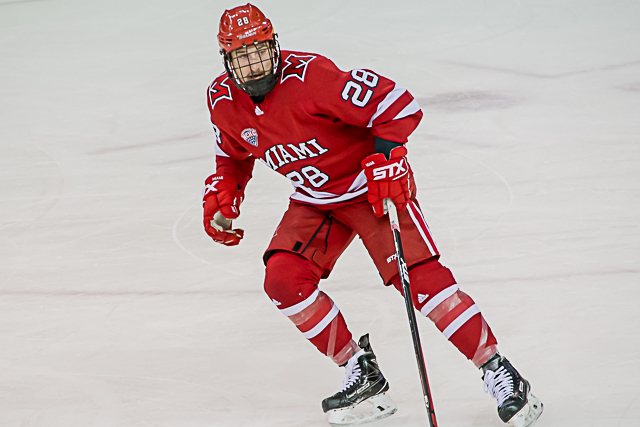 38 in the PairWise, Miami can forget about any chance of an at-large, even if somehow the team won out. With their postseason fate somewhat sealed, that may take the pressure off the RedHawks somewhat, as they can concentrate more on getting better for the league tournament. But this is the type of matchup that awaits when the regular season ends, it will be a sisyphean task for to earn a trip to Minneapolis in March and beyond.